PUNE (NEW DELHI): Ford Motor Company has announced the launch of an app-based shared mobility solution for the residents of Pune city. Ford has entered partnership with Hinjawadi Industries Association (HIA) for the Office Ride app. 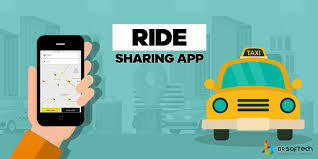 The Office Ride shared mobility solution was first announced by Maharashtra Chief Minister Devendra Fadnavis last week when he launched multiple smart city initiatives. Ford said that the Office Ride initiative also forms part of the company's efforts to collaborate with the Pune Smart City Development Corporation to explore an integrated transport system to help reduce stress on existing infrastructure and improve the commuting experience. Users will be able to pay for the service through their mobile phones, using any preferred digital mode, including internet banking, digital wallets and credit/ debit cards. Ford’s Office Ride began as a pilot for Ford employees in March 2018. Ford - in a Statement of Intent (SoI) - signed with Pune Smart City Development Corporation has also proposed to set up an integrated transport operating system. Once approved, the system will offer one-click journey planning & ticketing as well as commuter and operator analytics and establish a Mobility Innovation Hub in Pune.